Indigo Fine Dining - Indian Restaurant located in La Zenia. 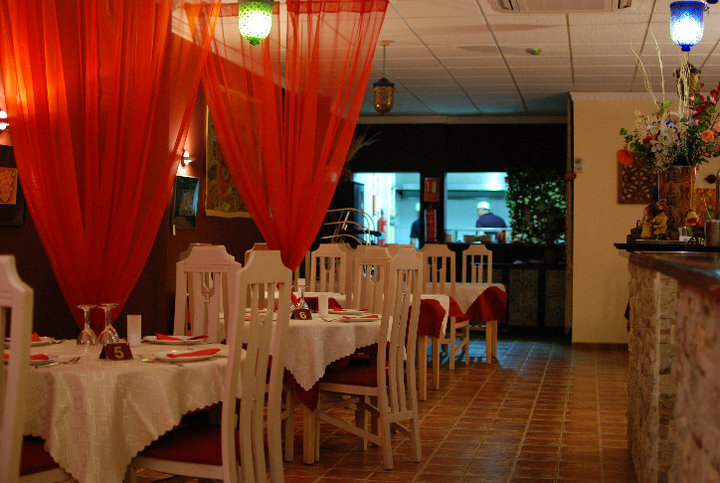 We serve you the most exquisite Indian food in Costa Blanca. Every dish prepared fresh one-by-one and our authentic chef from India will happily serve you his touches on great food. Enjoy a bottle of wine or beer with your Indian dinner tonight. We are eager to serve you the best meal of your day and our Punjabi chef is ready. We’re open all year from March to November, everyday from 18:00 to 23:15. Our very talented Punjabi chief will make sure your food will be fresh and make your night an unforgettable one. Please book any reservations or questions at 632 411 270. Indigo is a fine Indian restaurant in La Zenia. We make the most interesting and tasty Indian food in Costa Blanca and our chef would love to have you around, you can even sneak a peek into our open and clean kitchen to see your food in the making if you’d like. With our chef’s knowledge of Indian food, we can offer you almost a hundred different combinations of authentic, tasty and superb Indian food for the night with us. Take a look at our menu before you arrive tonight. Book your reservation by calling us at our cellphone 632 411 270 to our restaurant that opens at 18:00. We can also be helpful in planning an event such as birthdays, business dinners and larger groups. We are serving you delightful food with any wanted drinks for the night. We are open 7 days a week from 18:00 to 23:15. For 5 € we give you an extraordinary drink only to be found at Indigo, it has alcohol, superb taste and why not add it to an already unforgettable night with us.